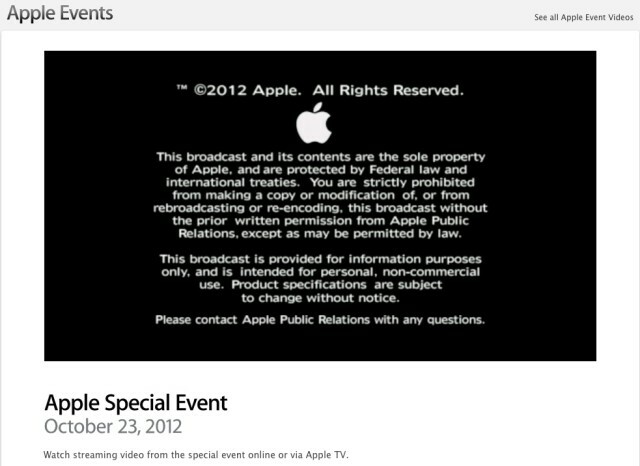 Apple has quickly put up today’s special event stream on their website for viewing. If you missed the live stream, you can now watch the event all over again. Apple announced the 13″ Retina MacBook Pro, refreshed the Mac mini, debuted all new iMacs, revealed the 4th gen iPad and unveiled the all new 7.9″ iPad mini. Streaming video requires Safari 4 or later on Mac OS X v10.6 or later; Safari on iOS 4.2 or later; or QuickTime 7 on Windows. 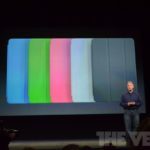 Streaming via Apple TV requires second- or third-generation Apple TV with software 5.0.2 or later.